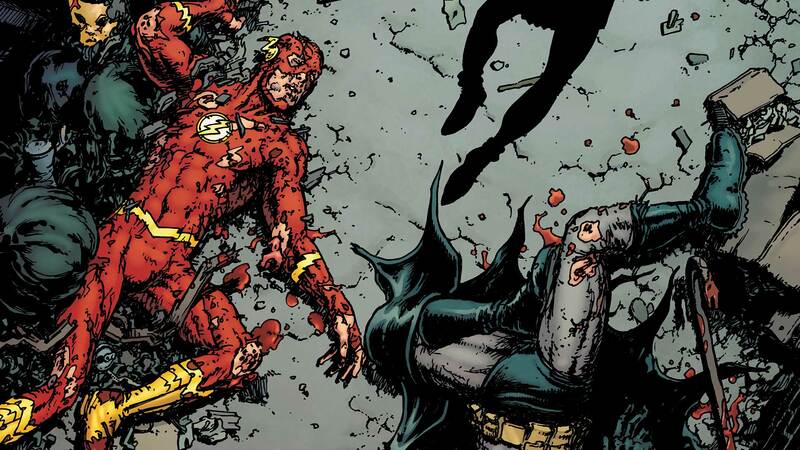 Still raw from the tragedy at Sanctuary, Batman and the Flash find themselves investigating an explosive new attack in “The Price,” a thrilling new crossover tale that ties in closely with HEROES IN CRISIS. At the end of chapter 1, the two crimefighters discovered that it was none other than Gotham Girl who was behind the destructive attack on the Flash Museum. But they haven’t yet answered the one question that really matters—why? True, Claire Clover has never quite been the same since she was manipulated by Psycho-Pirate, but while she may have needed some help and time to heal, that doesn’t explain why she’s suddenly started attacking public property. As chapter 2 kicks off in this week’s THE FLASH #64, there’s much that Bruce and Barry don’t yet understand, all of which is further complicated by the fact that their heads just aren’t 100% in the game. Both are still grieving and wrestling with feelings of guilt over what happened to Sanctuary—and in classic Bruce and Barry style, neither of them are talking about it. But they’d better find some way to focus on the matter at hand because there’s more to Gotham Girl’s actions than they realize. While it’s unclear exactly why she attacked the Flash Museum, we do know it has something to do with her once-dead brother…and bringing him back to life. In our exclusive preview of this must-read issue, the mystery deepens as Batman and the Flash hunt down the unpredictable Gotham Girl, who seems to have even more surprises in store. THE FLASH #64 by Joshua Williamson, Rafa Sandoval, Jordi Tarragona and Tomeu Morey is in stores Wednesday.